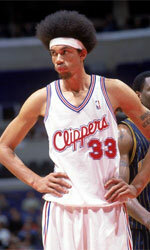 SG Bergishe Loewen (Liga Mediterranean) signed experienced 42-year old American ex-NBA center Keith Closs (224-77, college: CCSU). He started the season with the Tonga NT. Closs helped the Tonga National Team capture gold in the 2019 Copa Mitchell Cup (Santiago, Dominican Republic). He averaged an impressive 12.3ppg, 13.3rpg and Blocks-1 (8.0bpg). Closs was later named LatinBasket.com All-Mitchell Cup Defensive Player of the Year along with Finals MVP. The SG Bergishe Loewen added the experienced Closs to help the German club win the 2019 Liga Mediterranean Cup in Barcelona, Spain. The international cup will take place May 22-27. In 2007 (eleven years after he left the college) Closs was drafted by Tulsa 66ers (D-League) in fifth round (67th overall). The former Central Connecticut State University staris in his 23rd (!!!) season in pro basketball. Closs' team won Mitchell Americas Cup. He was voted Latinbasket.com All-Mitchell Americas Cup 1st Team in 2016 and 2019. It's very possible he may end his playing career at SG Bensberg Loewen. Closs could be described: Keith is a game-changing shot-blocker who provides his team a protector at the basket and defensive presence in the paint. An athlete with great length, Keith has good strength and runs the floor well. He has the knowledge of the game of basketball and how to play the sport. 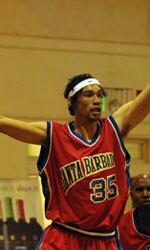 Tonga NT (Mitchell Cup) inked experienced 40-year old American ex-international center Keith Closs (224-78, college: Central Connecticut State). He already started the season at GIE Maile Matrix (UBA) in the U.S. The former Central Connecticut State standoutis in his 23rd (!!!) season in pro basketball. Among other achievements Closs' college team won Mitchell Americas Cup. He received also Latinbasket.com All-Mitchell Americas Cup 2nd Team award in 2017. Closs represented USA National Team in the 2015 FIBA Asia Cup after playing 4 seasons for the LA Clippers (NBA). He is close to retirement age as a player. It may be one of last seasons in his extensive career, which he may end at Tonga NT. Closs' game is described as: Keith is a game-changing shot-blocker who provides his team a protector at the basket and defensive presence in the paint. An athlete with great length, Keith has good strength and runs the floor well. He has the knowledge of the game of basketball and how to play the sport.